Sometimes being a full-time carer for somebody, it can feel as though you have gone 12 rounds with Mike Tyson. Sleepless nights, never ending drama, extreme behaviours and complex physical needs – and then there’s the needs of the person you care for! You can become so tired you just want to fall over. But as Rocky Balboa said: “It’s not about how hard you hit, it’s about how hard you can get hit and keep moving forward”. My dad, Malcolm, first started suffering with dementia in 2005. Although the initial changes in his behaviour could be quite subtle, as a family we noticed them straight away. Unfortunately my dad was suffering with right frontal lobe dementia, a rare form of the disease, and because of this many of his symptoms went undetected by professionals. It wasn’t until 2008 that he eventually received a diagnosis, but by this time he had deteriorated to such an extent that he was in hospital under section. It came as somewhat of a shock to people when I insisted that I wanted to look after him upon his discharge – there had been a presumption that he would go into a care home. He was now deemed eligible for Continuing Healthcare; such was the complexity of his needs and unpredictability of his behaviours. But being under section, the final say as to where he lived wasn’t mine, it was something I had to fight for. 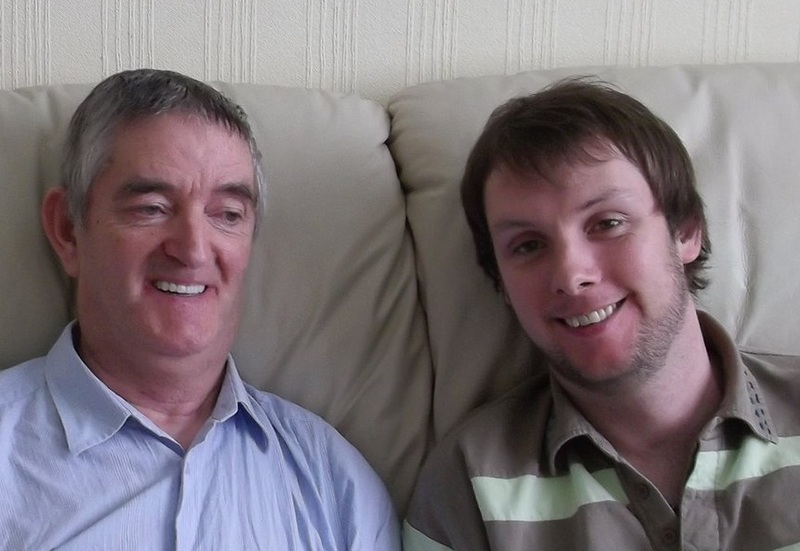 Thankfully, after six months in hospital, the battle was won and in August 2008 my dad returned home under my care. Respite choices were minimal. We were presented with just one option – for my dad to attend a daycentre for four days a week, Monday – Thursday, 8am – 5pm. It was then that I first enquired about the possibility of having a direct payment; something that I knew existed in social care. Unfortunately we were told that this was not possible as it was illegal to receive money provided by the NHS in such a way. And so another battle commenced. For the first 12 months that I cared for my dad, I didn’t have a single evening off. The days that he was attending the daycentre, I needed to work. I was exhausted and it was hitting me hard. My dad was suffering just as much. While he seemed to be prospering from living back at home, the daycentre was creating a lot of anxiety and struggling to meet his ever increasing needs. We were battle worn, and something needed to change. By the end of 2009, we fought for, and got, a personal health budget – a new innovation in healthcare that enabled more choice and control over the care that you receive. Instead of attending a daycentre, my dad would now be able to receive care in his own home, something he so desperately craved. We employ five members of staff, all of whom we chose as a family, providing hours of support at times that suit Malcolm and our family, unlike the daycentre. My dad also now has choice in the activities he does, as opposed to the small selection at the day centre. Since receiving his personal health budget, he has been to football matches and the cinema, gone out for walks and drives. It’s also allowed my dad to spend more time with his family, and enabled us to remain prominent in any decisions around his care, something we believe is crucial to both his health and well-being. And so another battle was won. Dementia is a degenerative disease, and so naturally my dad’s behaviours are becoming ever more complex. Initially he became more reclusive and lost a lot of confidence. It was our job as a family to try and ensure that he remained stimulated, and knew that he was loved. Over time his behaviours have become more and more unpredictable and he is less and less talkative. It is up to us as a family to learn to communicate with him in different ways, such as through verbal or physical cues. We have had to make sure we’re armed with as much knowledge as possible so that we can anticipate anything that might upset him. 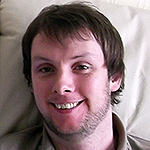 In 2012, he began developing dysphagia – difficulties with swallowing. In order to counter that, we had a peg inserted into his stomach so that he can still receive the appropriate nourishment. Watching somebody you love deteriorate in such a way is a hurtful experience, perhaps even more painful than going 12 rounds with Mike Tyson. But what a personal health budget has allowed us to do is survive each round, maybe even win some of them. There is no cure for dementia; this is a fight that cannot be won. But at the end of the 12 rounds, whist there maybe another hundred fights left to fight, we’re still standing! And as tough as Mike Tyson is, nobody hits as hard as life. But whilst we have choice, and control, we will keep getting hit, but can and will keep moving forward.